Words matter especially to the likes of me, a former English teacher. 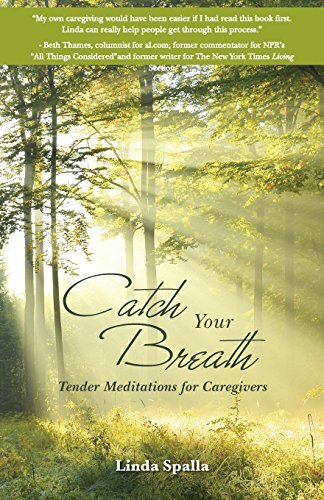 I was recently shocked and irritated with a press release from the publisher of my new book (which is on caregiving) because the copy repeatedly used the word caretaker instead of caregiver. In fact, I was offended in a visceral way because of what it implied. I quickly edited the copy to use the more endearing term caregiver. So what’s the big deal? Well, those of us who presently are or have been caregivers sense the difference intrinsically. A caretaker is someone who is paid to do a job. He or she goes through all the appropriate motions of ensuring that an entity, a person or a piece of property is regularly managed, maintenance, with all scheduled obligations or needs fulfilled. I think of caretakers as people who manage estates or cemeteries. There is an official aloofness, a cold distance that I ascribe to a caretaker. It seems more a business arrangement than an outpouring of the soul. Caretakers and caregivers exhibit completely different auras. A caregiver has a contract of the heart with his family member, friend, or patient. He is not so much there to manage or maintenance as to sooth, to salve the wounds of lost dignity and independence, to listen, to cope with daily stress and potential sadness, and to uplift with encouragement, laughter and creative activity. A caretaker might receive good marks for doing everything right; the caregiver will achieve accolades for doing all the right things. There’s a life-changing difference for the patient. I volunteer every Friday at a local Alzheimer’s Day Care Center affiliated with the church I attend. The women who work as full-time, paid caretakers are the most incredible group of caregivers I’ve ever had the privilege of knowing. Yes, they are doing their jobs; but there is so much joy in their hearts; so much patience in their mannerisms; so much eagerness to touch, to hug the sometimes unlovable. Never do they speak a harsh word, but with kind firmness broadcast the behavioral expectations to the attendees. They know which battles to fight and which to leave alone. They find laugh-out-loud humor in the strangest occurrences and rejoice in the tiniest show of progress. One lady has not spoken anything but a constant (and I do mean constant) gibberish for months and months. Last Friday, one of the caregivers asked her if she was okay and she replied, “Yes!” What a moment of joy and celebration, a diamond event that kept the caregiver on a cloud for the rest of the day. Which are you in your present set of circumstances: a caretaker or a caregiver? God speed on your caregiving journey.